Nails are one of the elements that reflect your health condition. However, some people forget to take care of them. In contrast, others spend too much time on the nail salon, which may lead to the dangerous nail inflammation. Therefore, what are the right ways to protect and keep your nails healthy? 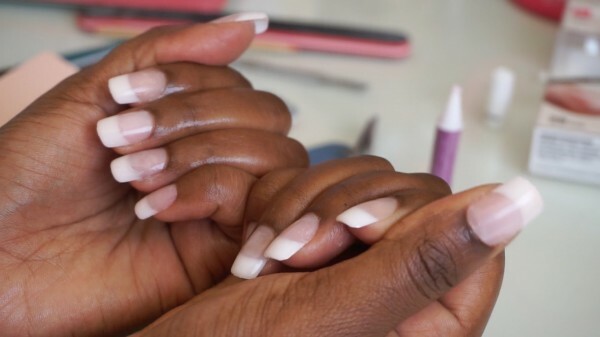 In this writing today, we will show you 12 ways to maintain good nails naturally at home. If you want to keep your nail clean, it’s crucial to keep your hand fresh. According to the expert, it’s of great importance to wash your hand at least six times a day with the soap. You can also protect the underneath area of your nails by scraping your fingernails in a bar of soap, which helps to remove almost the dirt under your nails. Moreover, you should use an orange stick to clean your nails often. There is a wide range of orange stick so you can choose the one which is the most suitable for your nails. If possible, paint your nails with polish as it’s a way to hide the dirt underneath. Before cutting, you should wash your hand clearly with the soap. Nowadays, there is a wide range of cutting tools which are available; therefore, choose the most suitable for your nails. After cutting, use the filing nail to make the favorite shape for your nails. Like other parts of the body, nails also need the moisture to keep them in a good condition. If you do not supply the adequate water for your nails, they can easily become dry. Washing makes nails dry and fragile; therefore, rubbing the lotion to your hand after every wash if possible. Besides, you can apply a small amount of hand cream which contains alpha hydroxy acids to your hand and pulls the cotton gloves on. If you have time, soak your nails in the virgin olive oil for about 20 minutes to reinforce the damaged nails. Remember to repeat this inexpensive method twice a week to get the visible result. The cuticle is the thin skin located at the base of the nail on the fingers. To maintain good nails, it’s necessary to spend time caring the cuticles. Nowadays, while some people prefer getting rid of the cuticles area, others want to push the cuticles back to make their nails look longer. These are all not dangerous, but it potentially leads to the nail infection, so be careful. To keep your cuticles in good condition, you need to moisture them regularly and protect them from bacteria. You also have to exfoliate them often to prevent the overgrowth of your cuticles. About the exfoliator, you can buy in the drug store or make your exfoliating scrub with the oil and sugar. There are not any pieces of evidence showing that whether we should polish the nails or not. For some people, they want to use the polish to protect and light up the beauty of the fingers. In contrast, others avoid painting because it can harm the nails and cause the inflammation or nail breaking. We can’t deny the uses of nail polish, but before buying it, you should consider well as there are many fake products in the market nowadays. The unoriginal materials which contain a large number of chemicals can weaken and affect the growth of your nails. Tomato: This is a superfood for the nail care since the high amount of vitamin A and D in tomatoes will remove the dead skin cells. Moreover, the collagen in tomatoes is a great tool to keep your nails healthy and strong. Chicken: High in protein, vitamin B, and zinc, the chicken will be one of the superfoods to protect and promote the growth of your nails. Vegetables: Broccoli, carrots, peppers, walnuts, etc. Protein foods: Eggs, fish, nut, seeds, etc. Biotin-rich foods: Biotin is one of the most important substances to promote the keratin production in the body, the main component in the nails. You can try some foods containing a huge amount of biotin such as almonds, bananas, yogurt, potatoes, etc. Although biting nails are deleterious, many people still maintain this habit. There was a statistic stated that 45% of teenagers, 30% of children, 25% of young adults, and 5% of older adults bite their nails every day. When you bite your nails, you can harm the nails as well as the skin around them, causing the infection and inflammation. Moreover, this can also affect your teeth and lead to some dental diseases. Although this habit does not cause any long-term effect, it is unsanitary and makes people feel not confident in front of others. In getting rid of this habit, you can keep your nails strong by trimming them regularly. Besides, you can occupy your mouths and hands with other activities such as chewing gums, knitting, etc. Accounting for more than 60% of the body, water is one of the main importances for our living. For nails, if you do not provide the adequate water, they will be weak, flaky and fragile. Gradually, they will break easily, especially in the winter. Moreover, the shortage of water in your body will prevent the growth of your nails and affect the cuticles a lot. Therefore, it is vital to stay hydrated by drinking enough water. Each day, one person needs to drink more than eight glasses of water to maintain good health. Besides, you can combine with taking the exercise to boost the blood circulation and reduces the risk of nail diseases. Many people prefer using the hand sanitizer because of its cleanliness, portability, and convenience. It can remove nearly 99,9% of the bacteria on your hands. Moreover, it can help to get rid of the germs in the large area quickly. However, everything has two sides. Some hand sanitizers contain too much alcohol, so if you abuse the hand sanitizer, it can harm your nails and cause some skin diseases. Besides, it contains a large number of toxins, which are poisonous to our health. Therefore, it’s not a good idea to use the hand sanitizers before the meal. When choosing the hand sanitizers, you should consider well to avoid the ones which contain too much alcohol. To those who have the fragile nails, it is a smart choice for them to use the nail hardener. It will promote the protein and create the chemical bonds to make your nails stronger. Besides, it contains calcium, which can balance the structure on the surface of your nail plates. You can buy this product in every store, supermarket or the Internet. However, not all of them are made of safe ingredients; using those products can damage the nails or cause the allergic reaction. Therefore, when choosing the nail hardener, you should be well considered and buy it at the regular store to get the authentic one. When doing some harsh cleaning tasks, it is vital to wear the gloves to protect your nails. Wearing the gloves will create a barrier to prevent the bacteria from entering your nails. Moreover, you can also prevent some infectious diseases and defend the manicure against the serve factors. Now it is effortless to buy a pair of gloves so you should always keep in mind to wear them in some cleaning tasks such as scarping the toilet, washing the dishes, dying hair, pulling poison ivy, etc. Do this method once a week. Do this method twice a week. All in all, these are a dozen ways of nail care that we want to share. Optimistically, with these tips, we have achieved the beautiful look of our nails and say goodbye to some nail-related problems. In case you’re facing up with nails diseases, give our tips a try, you will be surprised with the result.